Within a couple of weeks of the US government announcing its ‘zero tolerance policy on illegal entry on its southwest border’, the world witnessed the devastating impact of these actions on the lives of children and families seeking protection in the US. Last week, amidst the uproar of outrage regarding the increased separation of families at the southern US border, President Trump issued an Executive Order on June 20, 2018 that instead of protecting these children, promises them and other families additional harm. The Executive Order does nothing to address the more than 2,000 families that have been separated as part of the Administration´s ‘zero tolerance policy for illegal entry on the southwest border’. There is currently no statement regarding plans to reunite these children with their parents who are seeking protection in the US. The policy targeted families entering the US at unauthorized points, although many families seeking safety had been turned away at official ports of entry. These children were needlessly taken from their parents and held in inappropriate facilities as authorities struggled to find placement options in a system that is already overwhelmed. Now, many may remain in government shelters or with foster families and it is likely they will be left to navigate the complex immigration and asylum process alone. They may never find their parents again, even if they are all returned to the same country. The Executive Order seeks to lock-up children together with their families for indefinite periods of time, in jail-like conditions. Instead of separating families, the Executive Order sets out plans to detain them together, and worse, to lock-up more children and families than ever before. The US currently has immigration detention centers specifically for children and families, with a capacity to lock-up about 3,000 mothers and their children. These centers have been operating under harsh scrutiny and legal challenges since 2014. In fact, the U.S. government is legally mandated to release children to family members as quickly as possible and to place children in the least restrictive setting appropriate to their age and needs, in accordance with the 1997 settlement in Flores v. Reno. In 2015, a Federal District Court concluded that lengthy or indefinite family detention also violates this settlement. The Executive Order seeks to challenge these rulings in order to lock-up these families in jail-like conditions, for indefinite periods of time. It asks the court to build and approve use of additional facilities to detain children together with their parents, including military bases. In direct contravention of existing court orders, it also plans to detain families indefinitely as they await the resolution of their immigration processes, which due to court backlogs, can take months and even years. 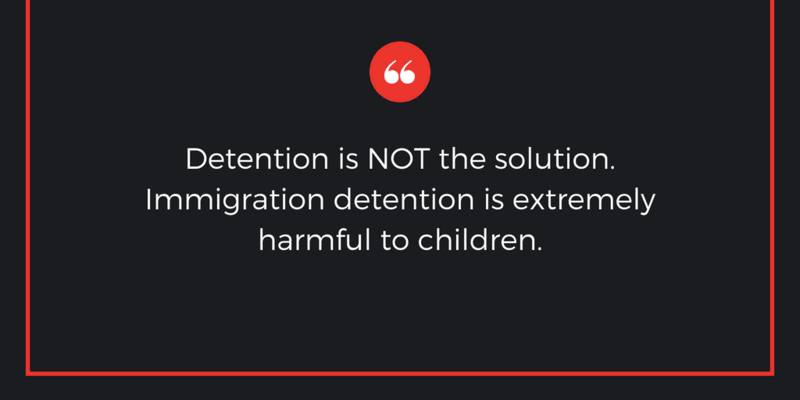 Detention is NOT the solution. Immigration detention is extremely harmful to children, regardless of the conditions or amount of time spent there. The American Academy of Pediatrics and other Experts on child development agree that detention subjects children to psychological trauma that is often irreversible. International human rights standards clearly state that detention in the context of migration is never in the child’s best interests and always constitutes a child rights violation. For these reasons, members of congress, physicians, human rights experts, lawyers, judges, faith communities and immigrants and allies across the US and around the world have spoken out against the use of immigration detention. The US has options to protect these children NOW. The US has alternatives to detention that it can choose to implement now. These alternatives respect children’s rights by allowing them to live together with their families in the community as they participate in the immigration process. The US has had successful experience with alternatives to detention, including the recent Family Case Management Pilot (FCMP) and other local initiatives that are proven to be less costly than immigration detention and cause less harm to the well-being of children and families. 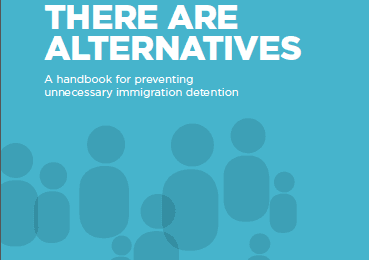 These alternatives are not to be confused with electronic monitoring devices, or ‘ankle bracelets’, which criminalize migration and are classified by the IDC as an alternative form of detention. Immigration detention is an expensive practice, costing the US around $300 USD per day for each family detention, whereas alternatives cost only $36 USD per family, per day. Detention is also ineffective at reducing irregular migration, and cannot legally be used to punish people or deter future migration. 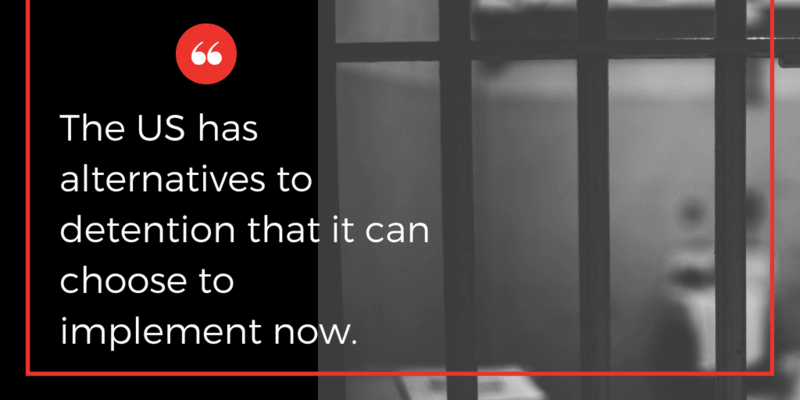 Alternatives to detention can be implemented in the US now, and do not require changes to law. 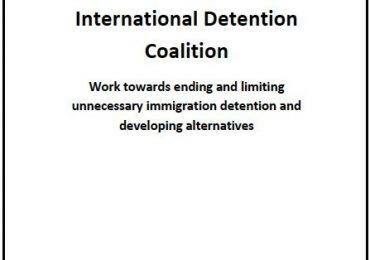 Sign the petition now to end child immigration detention.